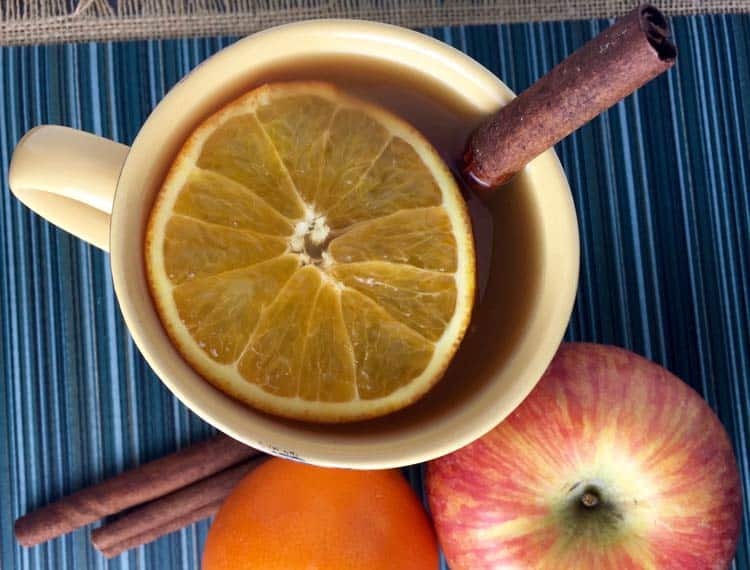 Mulled Five-Spice Crockpot Apple Cider tastes amazing and will make your home smell amazing too thanks to the addition of fragrant five-spice powder. Is there anything better than filling your home with the wonderful aroma of a slow cooker meal? The wonderful smell fills the house and lingers for hours, long after the meal has been enjoyed and the dishes have been put away. This Mulled Five-Spice Crockpot Apple Cider isn’t exactly a meal, but it will certainly fill your home with a wonderful spicy-sweet aroma for hours. It’s heavenly to arrive home to after a long day at work, or you can enjoy it on a chilly weekend afternoon when all you want to do is curl up under a blanket with a good book while you anticipate a warm cup of this mulled cider. By using five-spice powder instead of classic pumpkin pie spices in this mulled crockpot apple cider, the recipe becomes something a bit more special than traditional mulled apple cider. (For more information about five-spice powder, see the “Five-Spice Powder Explained” section below.) Try it — you’ll love it! 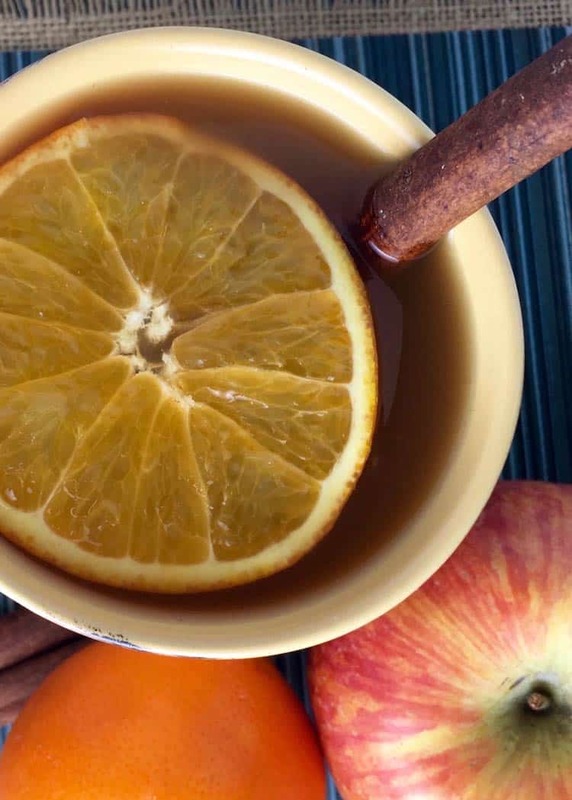 Making Mulled Five-Spice Crockpot Apple Cider is about as easy as it gets! Step #1: Add all ingredients to a slow cooker and cover. Step #2: Cook on low for 6-7 hours or high for 3-4 hours. Discard orange slices and cinnamon sticks when the mulled apple cider recipe is done cooking. Step #3: Ladle into cups and serve with fresh cinnamon sticks and/or orange slices, if desired. 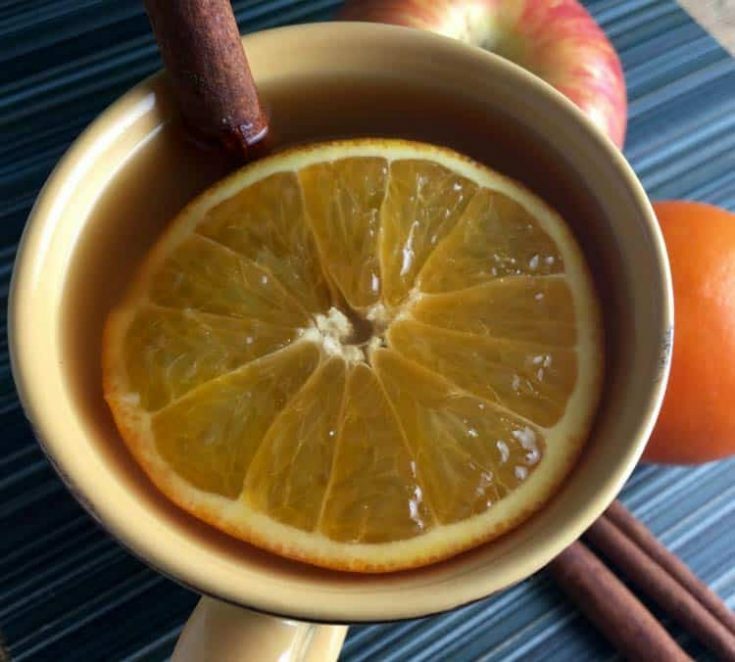 For spiked apple cider, add alcohol of your choice. Dark liquours work the best (think brandy or bourbon), but vodka can be added too. The five-spice powder mixture is meant to hit on all five tastes: hot, salty, bitter, sour, and sweet. Five-spice powder is often used in savory meals, but you can use it in sweet foods and beverages (like this crockpot apple cider) too. This Mulled Five-Spice Crockpot Apple Cider tastes amazing and will make your home smell amazing too! Add all ingredients to a crockpot. Stir to combine. Cover and cook on low for 6-7 hours or on high for 3-4 hours. When finished, remove and discard cinnamon sticks and orange slices. Ladle into large mugs and, if desired, serve with additional orange slices and fresh cinnamon sticks.